Spousal maintenance is always a thorny topic, in many cases the person making the payments thinks that they are paying too much and for too long and the person receiving the spousal maintenance thinks that they are getting too little, taking into account child care responsibilities, lifestyle during the marriage or lack of qualifications or career experience over a long marriage. A husband and wife locked in a Court battle over maintenance payments after their separation in 2012 have hit the news after a Court of Appeal ruling. The couple, William Waggott and his former wife, Kim Waggott split up in 2012, after a 21 year marriage. Mr Waggott was ordered to pay his wife a lump sum of nearly 10 million and spousal maintenance for life at the rate of £175,000 a year. The one thing that the husband and wife were agreed on was that the original Court ruling was unfair; the husband thinking that spousal maintenance for life gave Mrs Waggott no financial incentive to get a job and the wife thinking the amount was too low and needed to be adjusted by the date of the Court of Appeal hearing to take into account cost of living increases and Mr Waggott’s income. 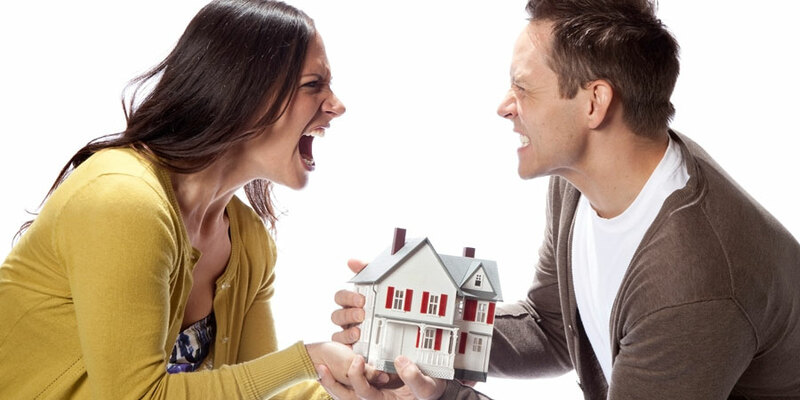 The battle lines were drawn with Mr Waggott applying to Court to stop the spousal maintenance for life and Mrs Waggott asking the Court for more maintenance. The Court of Appeal has ruled that Mrs Waggott’s spousal maintenance payments shouldn’t continue for life but instead end in three years’ time. The Court has also said that the amount of maintenance won’t increase. As well as losing her spousal maintenance in three years Mrs Waggott also faces substantial legal costs. Mrs Waggott argued that her former husband’s earnings capacity had been created during their 21 year marriage and that it was only right that she should continue to share the fruit of the marriage as her ex-husband’s ongoing income was still a ‘’matrimonial asset’’. It was also argued, on Mrs Waggott’s behalf, that she should not have to invest some of the near 10 million she had received in 2012 to generate an income for herself, instead of getting ongoing spousal maintenance. It was said that would mean she was using her share of the capital of the marriage to live off when the 10 million was her entitlement to the family assets generated during the marriage. Mr Justice Moylan ruled that the former husband’s future earnings capacity is not a ‘’matrimonial asset’’ and accordingly it doesn’t have to be shared with Mrs Waggott and that the wife could invest some off her lump sum and live off the interest or get employment. The Court is always keen to achieve what is known as a ‘’financial clean break’’ to sever the money ties between a husband and wife as soon as possible after a divorce. That will be achieved in the Waggott’s case in three years’ time when the maintenance payments stop. In the press the Waggott Court of Appeal decision has been hailed as a victory for bread winners and the end of ‘’the meal ticket for life’’ of spousal maintenance. Does the decision mean that? The leading judge was careful to say that he acknowledged that long term maintenance can be required as part of a fair outcome in a divorce . There is therefore a danger in saying that the Waggott decision means there will be an end to spousal maintenance for life. In Mrs Waggott’s case she had received nearly 10 million and both she and her former husband had bought new houses for about 2 million each. That meant Mrs Waggott still had capital and, as importantly, had previously enjoyed a good career and so she could, in the judge’s opinion, adjust to the termination of her spousal maintenance payments without undue hardship. That won’t be the case for many families where the economically weaker spouse has used all of their capital sum to pay for a new house, perhaps with a mortgage, and therefore doesn’t have the option of living off interest or the prospect of getting a well-paid job that will pay enough to cover the mortgage and bills. The frustrating thing about family Court decisions is that whilst they lay down principles of law the principles can’t be applied rigidly to every family situation. Each Court decision is based on the individual’s personal and financial circumstances. That is why it is so important to get objective legal advice on what a ruling might mean for you and your family. Why? Because there is normally a range of Court orders that a Court could reasonably make in a given family situation rather than one ‘‘right answer’’. That’s why Court litigation is such a lottery as there is always a risk that you could be a loser in a Court battle. In light of this decision many breadwinners will want to review whether they should apply back to Court to stop their spousal maintenance payments for life and others will want advice on how to negotiate a clean break figure following the Court ruling. Equally those receiving spousal maintenance will need legal advice as Mrs Waggott’s case is a clear reminder, to both husband and wives, of the risks and costs of Court litigation.